Second stellar CD of stark, mesmerizing & historical electronic and concrète. 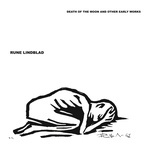 "Volume 2 of the music of Rune Lindblad (1923-1991). This CD consists of the remainder of the long out of print Radium double LP. These works cover the years 1962-1988. Lindblad, a Swede, began composing in 1953. Ignored by the musical establishment of Stockholm, Rune went his own merry way, composing over 200 works of electronic music. Limited in the early years to often primitive equipment, he carved out his own musical niche. The sounds were often raw, occasionally scary." Electronic and concrete music from 1953 to 1960 by this Swedish composer, reissuing material previously available on LP via the Pogus and Radium labels. "Rune Lindblad was born in Gothenburg, Sweden in 1923. He began composing music in 1953. This was a time when composers in Germany and France were feuding over the merits of electronic music made by pure wave oscillators versus musique concrete, which used the tape recorder as its main instrument. Rune Lindblad did not see these genres as mutually exclusive. In fact he extended his work to incorporate other mediums along with his approach to music. Deeply involved with woodcuts and painting, Lindblad was already experiment with using damaged 16mm film in his 'Optica 1' as early as 1959."